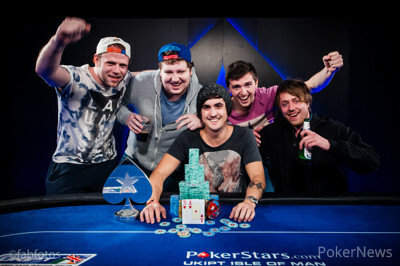 PokerStars Player Josh Hart Wins UKIPT Isle of Man for £57,484! After five long days of non-stop poker action, PokerStars Player Josh Hart has secured his first ever UKIPT title and £57,484 after defeating a field of 402 players. Hart, a 24 year-old online professional, made a heads-up deal with Irishman Ciaran Heaney where they virtually chopped the prize money and played for £5,000 and the title. It was doubly good news for Hart as his Isle of Man hotel roommate, German player Marc Radgen, also made the final table, eventually finishing in 5th place. 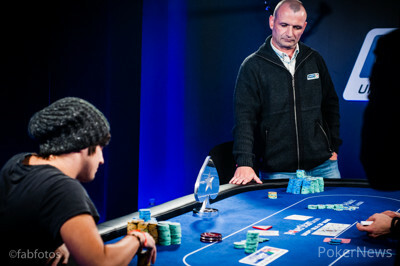 The final table had started with most players fairly deep and former UKIPT winner Ludovic Geilich in typically aggressive form. Josh Hart took the early chip lead in Hand #7 when David Hill bluffed two streets with a missed gutshot into Hart's turned flush. Geilich's luck changed in Hand #15 when he limp-called preflop blind-on-blind against another former UKIPT winner, Fintan Gavin. Geilich fired all three streets of a board with but found that he'd always been behind to the Irishman's . Geilich was further crippled when Marc Radgen beat the Scotsman's with after Radgen made a full house on the board. Geilich then shoved with over the top of a Hart raise but the Englishman called with and Geilich couldn't catch an eight to survive. 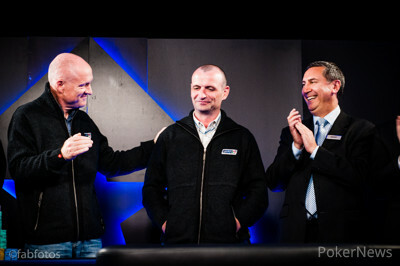 Two hands later, fellow Scot Thomas Ward was eliminated when shoving over the top of a Gavin raise. Josef Snejberg, who had played very well, making impressive (and correct) folds, throughout the day was knocked out in 6th place. In Hand #63 the Czech player bet/three-bet all in on a flop against Hart with only to find the Englishman had outflopped him with . The turn and river changed nothing and Snejberg had to be content with making his biggest ever live score - £14,900. 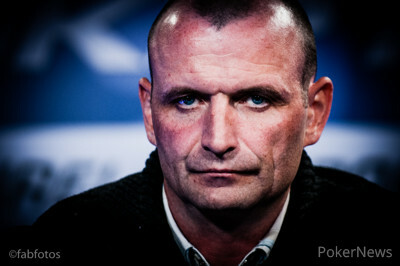 Marc Radgen busted out in 5th place, the German having gotten short, pushed with but found David Hill behind him with . Radgen was unable to hit his kicker and the final table became four-handed. Fintan Gavin had been many people's tip to win the final table, the Irishman was looking to win his second UKIPT title but he crucially came unstuck when he ran a huge bluff against Hill. Gavin stayed alive for a while longer but eventually fell with to Hart's in fourth place. The three remaining players, Heaney, Hart and Hill were all fairly evenly-stacked but there was no discussion of any deal. 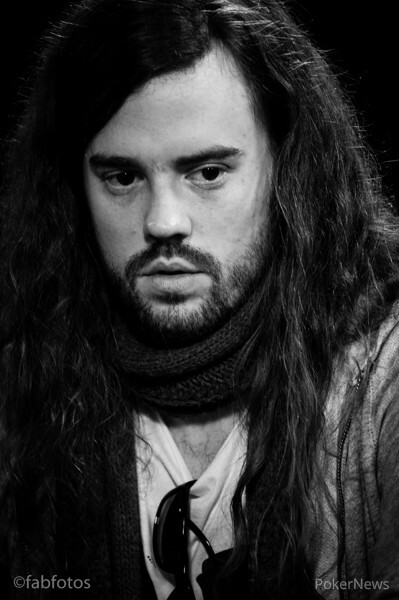 Gradually Hart slipped into third until two hands back-to-back completely changed his tournament destiny. Firstly in Hand #116 Hill raise/called with and lost to Hart's . In the very next hand, Hill limp-called a raise on the button with against Hart's in the small blind. Hart fired a bet of 175,000 on the flop before Hill made it 375,000. Hart called and both players checked the turn to see the river. Hart now bet 700,000 and Hill responded by moving all-in for 1.6 million in total. 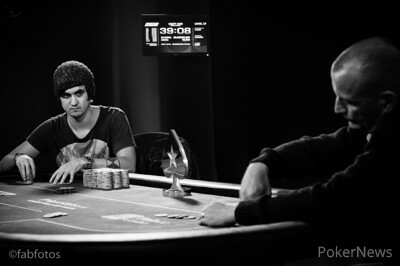 Hart quickly called and in two hands had gone from nearly being out to chip leader going into the heads-up action. Hart and Heaney agreed on a deal, saving £5,000 to play for (along with the UKIPT trophy) and although Hart started with the chip lead, it was Heaney who quickly took the lead, dominating the early action. Hart managed to double up with against and then with against on a board after Heaney had committed himself on the turn. The real turning point was Hand #137. Hart opened to 160,000 with , Heaney made it 425,000 with , Hart four-bet to 800,000 and Heaney moved all in, getting quickly called. The Irishman couldn't catch an ace and suddenly it was Hart who was looking the likely winner. Gradually Hart ground his opponent down, Heaney managed to double up first with against , then with against but the third time proved the charm for the Englishman when his held against Heaney's to secure him the victory and keep the title in English hands. We're expecting many of the players here will be travelling straight to London and so will the PokerNews Live Updating Team as the European Poker Tour hits London this week with the Main Event starting on Sunday. In the meantime, from the Isle of Man, it's over and out! 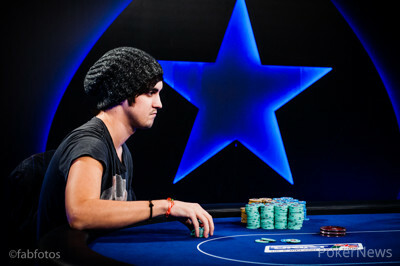 Ciaran Heaney opened the action from the button for 225,000 and Josh Hart moved all in. Heaney made the call and the cards were flipped over. The cards ran out and Heaney was unable to make another comeback this time, finishing second to the new champion Hart. Hand #163: Josh Hart with made it 160,000 and Ciaran Heaney raised to 400,000 with . Hart folded. Hand #164: Heaney limped with . Hart with checked. The flop was and a bet of 190,000 from Heaney took it down. Hand #165: Hart limped and Heaney raised with . Hart folded. Hand #166: Heaney raised with but folded when Hart shoved with . Hand #167: Hart limped with and Heaney checked with . They checked the flop of and on the turn Heaney bet 80,000. Hart called and the river was the . Heaney bet 275,000 and Hart called. Hart took the pot. Hand #158: Josh Hart moved all in with and won the blinds. Hand #159: Ciaran Heaney raised to 175,000 with on the button and won the pot. Hand #160: Heaney limped in with but instantly folded when Hart shoved with . Hand #161: Hart shoved with and Heaney called with . Hand #162: Heaney raised to 160,000 with but folded when Hart shoved with . Hand #153: Josh Hart moved all in with . Ciaran Heaney folded. Hand #154: Heaney limoed with and Hart checked with . It took to the turn of a board before a bet from Heaney took the pot. Hand #156: Heaney with limped. Hart shoved with and Heaney folded. Hand #157: Hart had , moved all in and Heaney folded. Hand #148: Josh Hart moved all in from the button with and Ciaran Heaney folded. Hand #149: Heaney moved all in and Hart snap-called. The board came and Heaney managed to survive to double to 1.3 million. Hart has roughly 6.5 million. Hand #150: Heaney received a walk. Hand #151: Heaney raised to 200,000 with , Hart shoved with and Heaney folded. Hand #152: Hart moved all in from the button with and won the blinds and antes. Hand #143: Josh Hart folded his button to give Ciaran Heaney a walk. Hand #145: Hart shoved with . Heaney folded. Hand #146: Heaney limped with and Hart checked with . A flop of and Heaney bet and folded to a Hart shove. Hand #147: Hart shoved with and Heaney folded.